The Nina and Pinta showed up here close to Southport and St James. They were on the way to Wilmington to go on display for this week. Looks like a tough way to get from Spain to our new world! These are actually replicas of Christopher Columbus’s ships. These floating museums visit ports around the world to educate the public on the history of the ships. 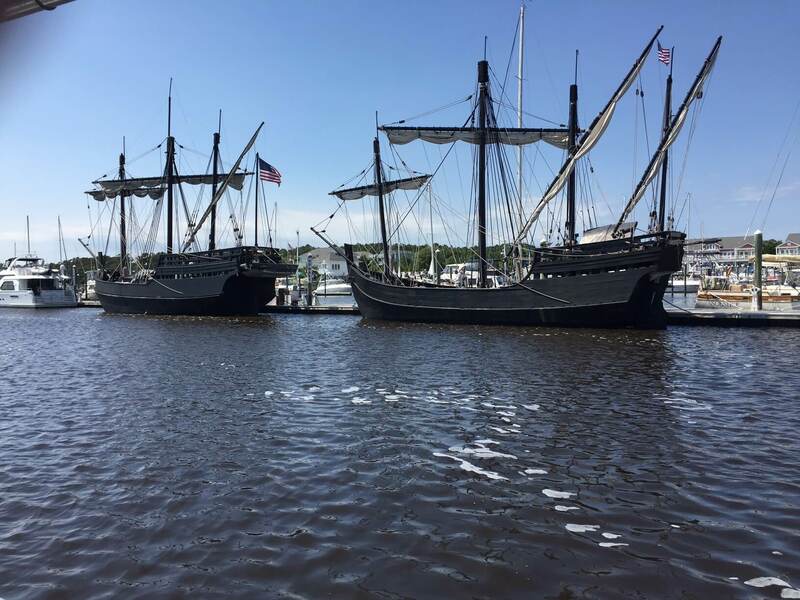 The Nina and the Pinta were hand selected by Columbus to make four transatlantic voyages over a 12-year period to open up a new world that people pretty much didn’t think existed,” Captain Stephen Sanger said. “You know, a lot of people(at the time) thinking the world is flat and going out there and proving the world is round.” Sanger is captain of the Nina. Tickets are available to go onto the ship! It is located in Wilmington, NC which is just a short drive from St.James Plantation! This is one of the many events that happen in and around the area for everyone to enjoy!